Birthdays are the best days of the year, so why limit them to 24 hours? As long as I can remember, I’ve stretched my birthday out over days (or even a week…), because 1. I’m a birthday diva & 2. It’s more fun. Here are my favorite things from this past ~birthday~ weekend! One major theme of my birthday: cupcakes. I absolutely adore cupcakes, so I was not complaining when my fabulous roomie got me 4 from Sweet Elizabeth‘s in Manayunk (the salted caramel one was to die for) and my co-workers got me a pumpkin spiced treat from Philly Cupcake. They were all delicious, plus look how cute they are! 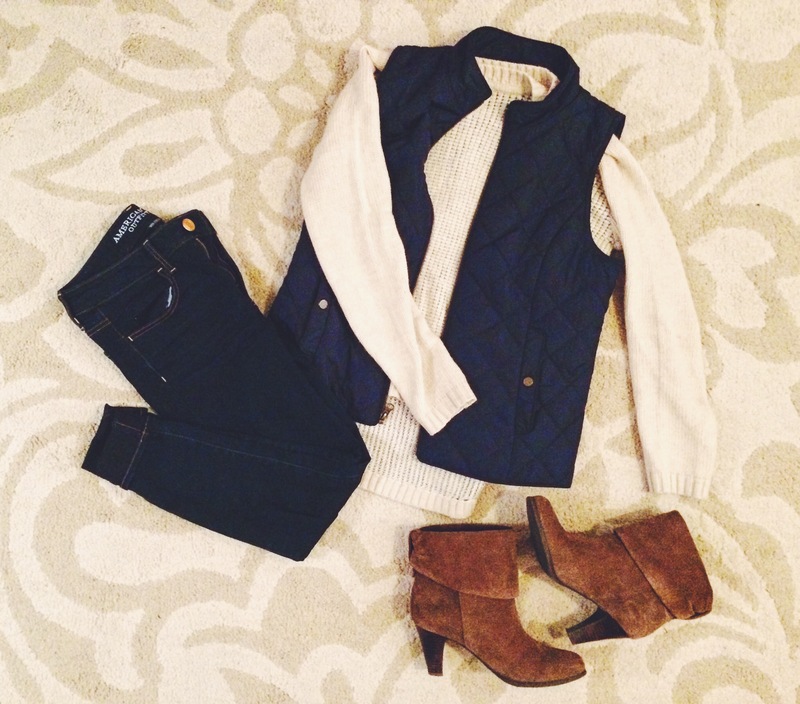 As the birthday girl, I had to make sure I looked **flawless, so I opted for a (basic) fall outfit. It was comfy, warm and stylish. I ate very well my birthday weekend. On Friday, Ryan took me to White Dog Cafe (my faaaave) and we had maple-brown-sugar-BACON ice cream for dessert (amazing). Then on Saturday, we went on a double date with my parents down the shore which resulted in nachos, wine and lots of laughs. Can’t complain about good food with even better company. I’ve always liked surprises & I think the smallest ones are the best. On Friday, I found this cute little sign on the wall next to my desk, and when I got home, I was greeted by flowers, balloons and a big hug from Ryan. And then on my actual birthday, we braved the chilly autumn weather for a surprisingly beautiful sunset. Doesn’t get much better than that. Haley and I had this HUGE white wall in our living room that we literally had no idea what to do with. 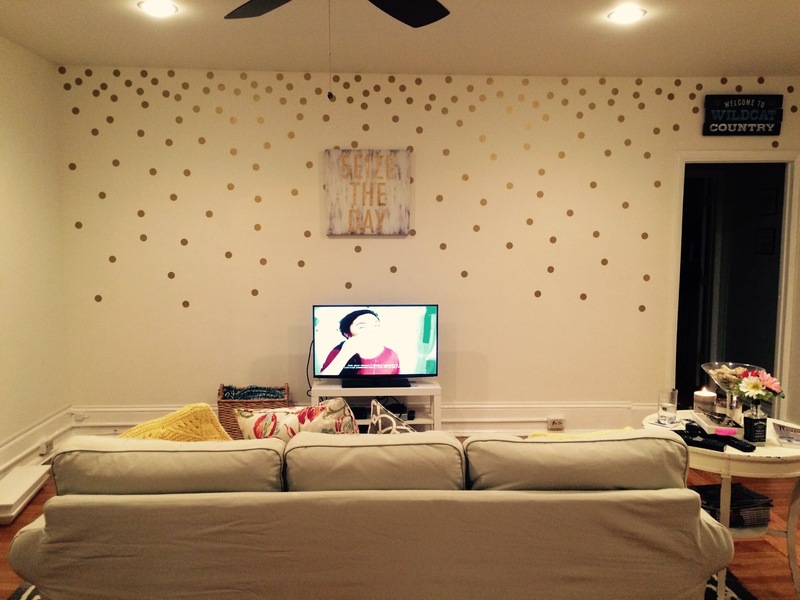 After dismissing a gallery wall or floating shelves, we decided on gold dot decals, arranged like confetti. Now it looks like someone actually lives here, plus it always feels like a party. Oh, did I mention this only cost $13? Liking 23 so far & Favoriting a relaxing, fun bday weekend.